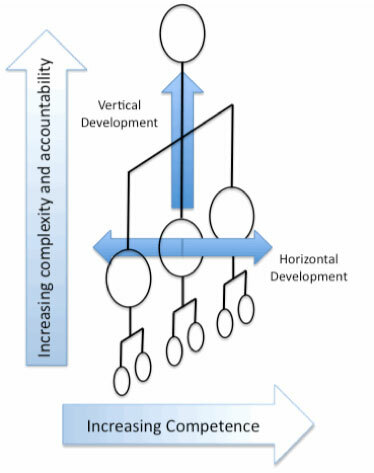 Mentoring can be distinguished from Coaching in terms of its focus on vertical as opposed to horizontal development. Mentoring is about facilitating and supporting developmental shifts in a person that enable them to handle the greater complexity and responsibility of work at progressively higher levels within an organisation. One can conceptualise mentoring as providing the “scaffolding” to support the growth of an individual. Coaching is about helping individuals to improve their performance. The emphasis is on identifying the development needs of executives in the context of the demands of their work role as well as their personal values and sense of purpose in life. In our role as a mentor or coach we act variously as an advisor, teacher, sounding board, facilitator and support to the executive. Our work may take many different forms, each of which will help individuals to overcome perceived difficulties, expand their repertoire of skills, and achieve measurable improvements in performance and satisfaction with their working life. We believe there is no one best way to mentor or coach. Each person is unique and brings into the equation his or her own set of needs. Our aim is to work with individuals to ensure that their objectives are both achievable and comfortable. Executives find mentoring or coaching particularly useful during periods of transition; from one job to another, from one organisation to another, and from stage of life to another. 1. We conduct an assessment to get to know the individual, their level of development and what they need from their work. This may include a review of how the person is viewed by their close colleagues at work. 2. We feedback the assessment to the individual and discuss the implications. We then help them devise an action plan based around agreed development needs. 3. We meet and provide a point of contact with the person to assist in the implementation of the action plan over a period of up to a year. This may involve providing the encouragement to experiment with new ways of doing things, challenging the person when things are not done, offering insight into the process, being a resource for information, and giving continued feedback. 4. We measure and review progress with the person during and at the end of the period to identify what has been learned and what else might provide benefit. "Man is only truly great when he acts from his passions"